This week at Real Canadian Superstore Ontario, get a free Softsoap personal wash set, valued at $24.98, when you spend $225 or more on nearly anything in the store. If you redeem points for either the full amount of your purchase, or a portion of your purchase, you will still receive this free gift. Save it Forward coupons are also available in store, so be sure to check the coupon zone board when you visit, for these coupons, valid at Real Canadian Superstore Ontario only. You can take a look at the last couple of pages of this flyer to see select coupons that you should be able to find. 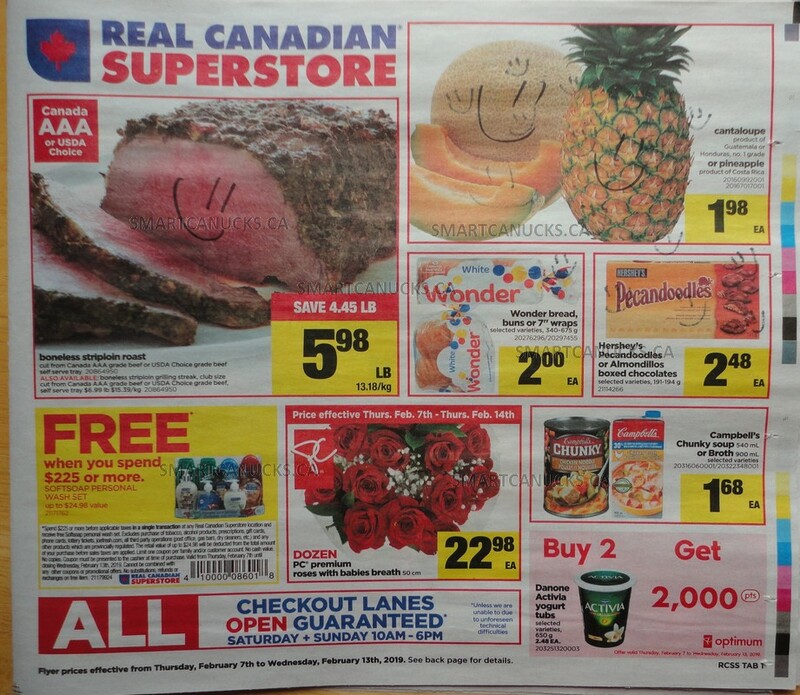 Click here to view the Real Canadian Superstore Ontario flyer, valid February the 7th to the 13th.